Steve’s breakdown: If you want to participate in this review you have to email this guy RIGHT NOW: yu-chen3@hnair.com. Proposal deadline is the 30th. Email us for the RFP. 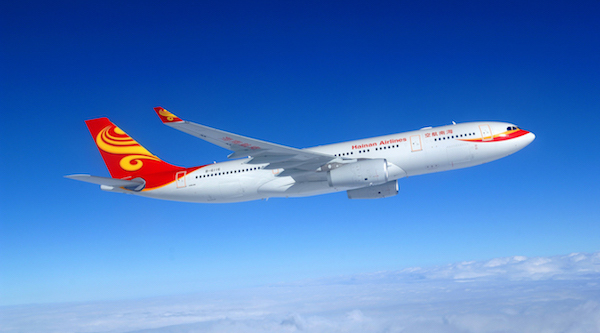 SEATTLE, WA & NEW YORK, NY: Chinese airline Hainan Airlines is seeking a US marketing partner to help elevate brand awareness and corporate identity internationally and throughout the New York metropolitan area through an upcoming multimedia event to be held in New York. The carrier, which operates 12 direct routes between mainland China and North America and ranked number-nine on Skytrax’s top 100 airlines ranking this year, recently announced the October launch of two non-stop routes between New York and the Chinese cities of Chengdu and Chongqing. Hainan Airlines wants a PR firm to help plan, execute and promote an integrated branding campaign surrounding the New York multimedia event, titled the 2017 Hainan Airlines Brand Show, tentatively slated to run between October 21 and October 25. Scope of the work includes planning and executing the multimedia event as well as integrated marketing communications efforts around it; determining event time, venue, format, length and agenda; identifying event attendance and performance (if applicable) as well as media partners, including mainstream journalists and social media platforms and/or influencers; coordinating all affiliated parties; and creating multimedia content to fulfill marketing communication needs. Budget for the work is $350,000 ($250,000 for the multimedia event and$100,000 for integrated marketing communications around the event). Deadline for submitting a commitment to an RFP proposal is tomorrow, Friday, August 18. Deadline for proposals is Wednesday, August 30.